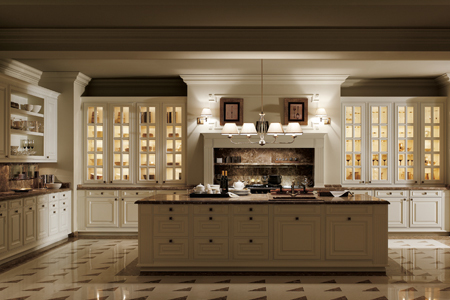 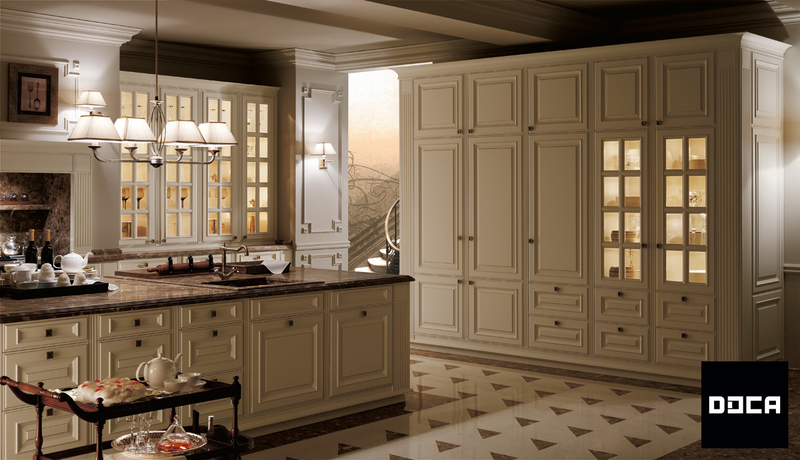 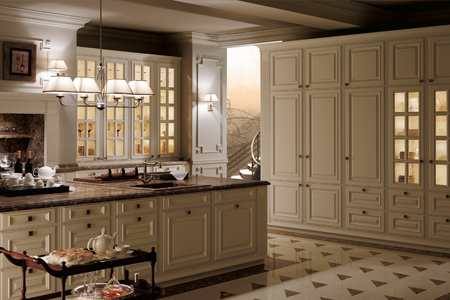 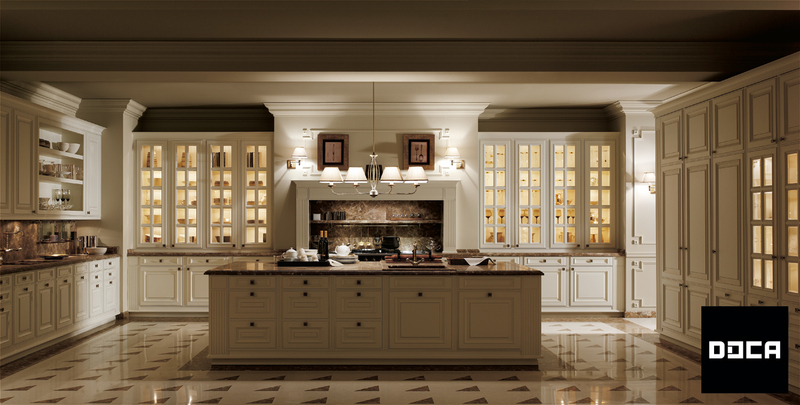 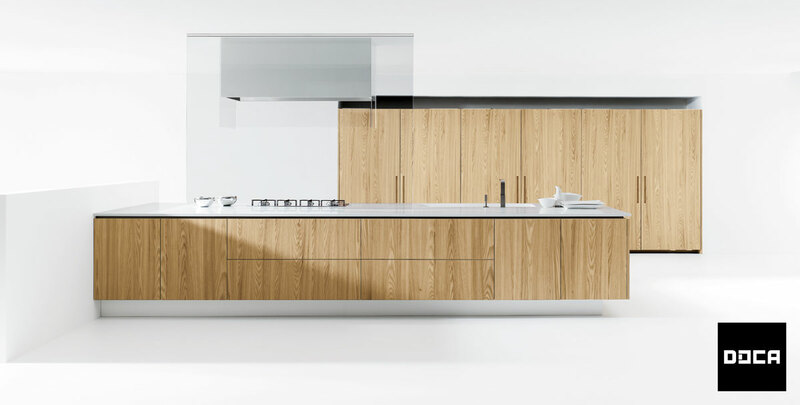 DOCA is a Spanish kitchen furniture and cupboard manufacturer widely renowned for its customizability, its striking designs, and its quality construction. 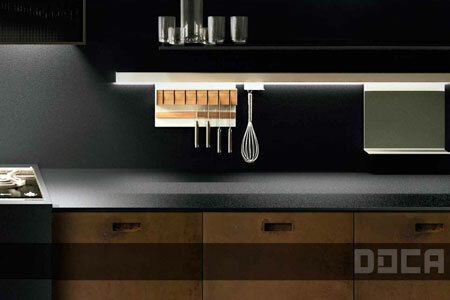 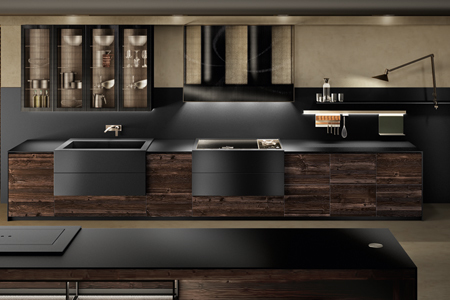 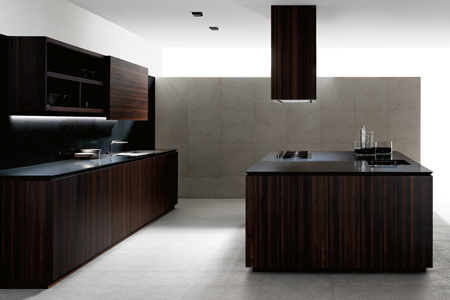 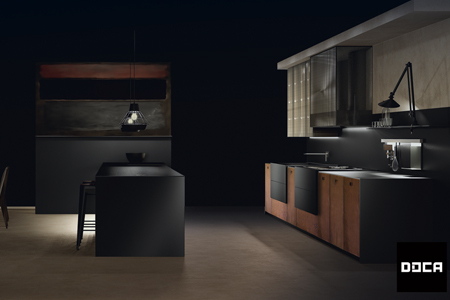 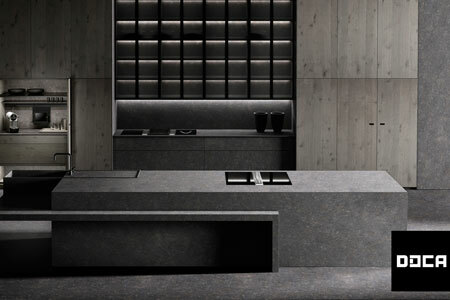 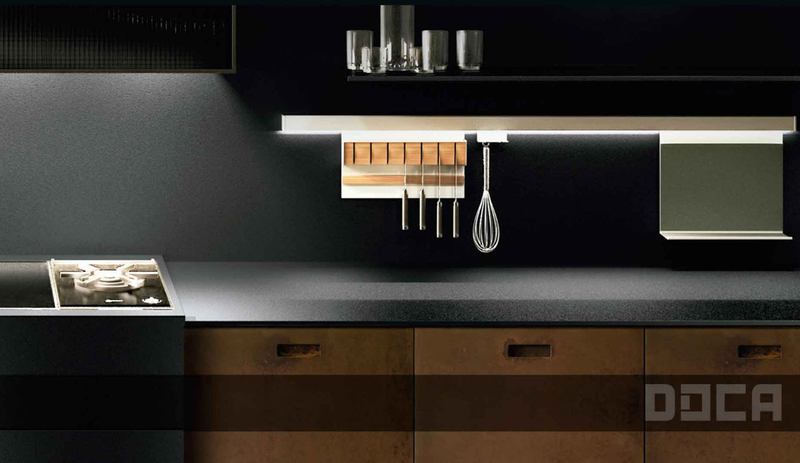 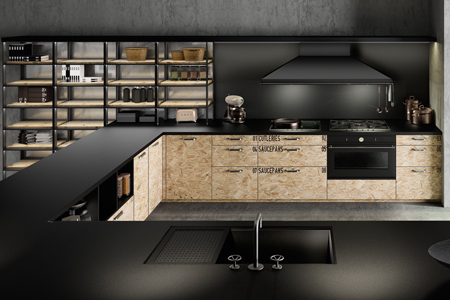 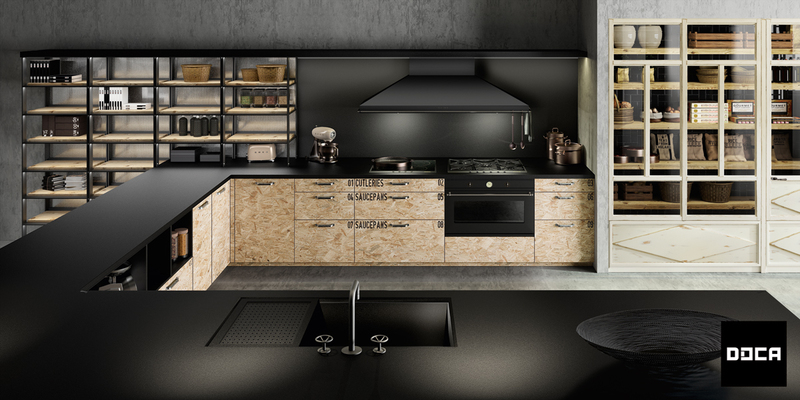 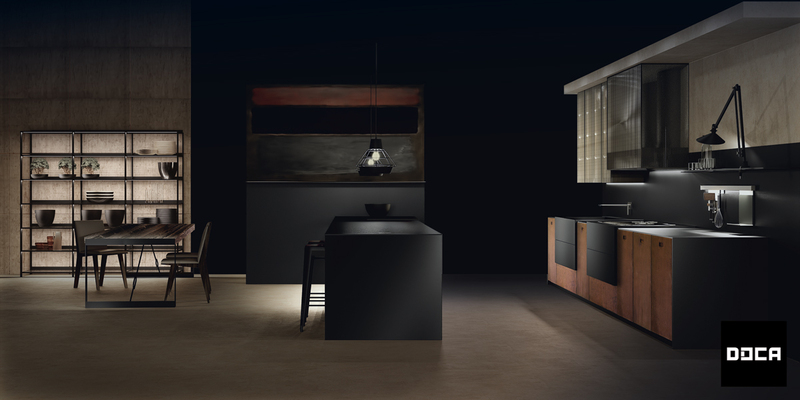 DOCA kitchens come in a wide variety of materials including ebony stone, solid wood, aluminum laminates, acrylics and more to create unique and distinctive looks for your kitchen. 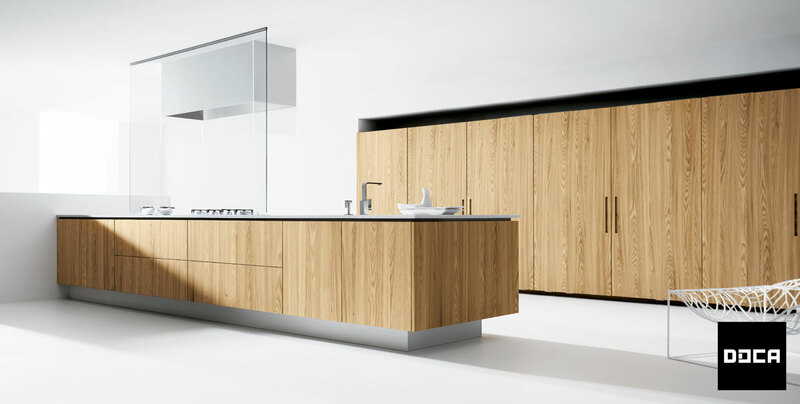 Sharp minimalist designs meld seamlessly with the warmth of solid wood creating stunning kitchens, carefully customized to your specifications. 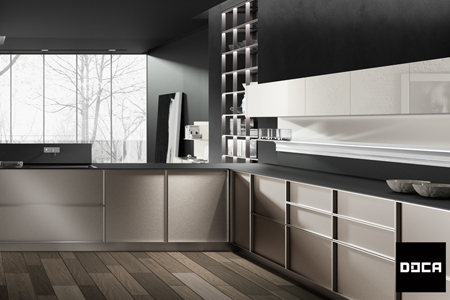 DOCA creates high quality contemporary and classic kitchens in a wide variety of styles that can be easily configured to match the needs of your kitchen. 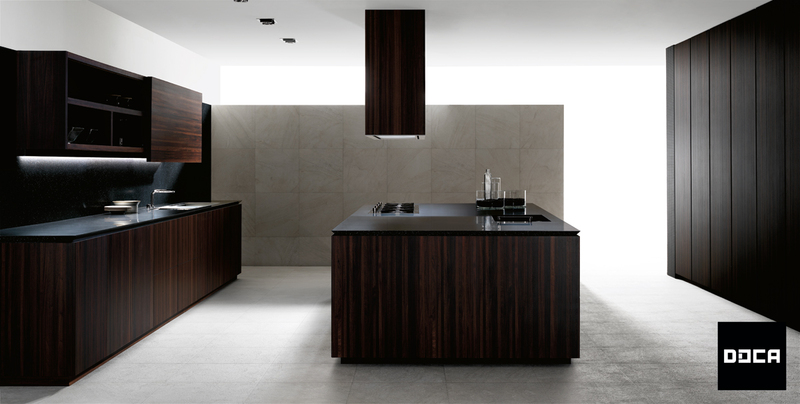 Kitchen styles range from bold stone veneers to contemporary minimalism to a rustic wood design with fairy tale undertones. 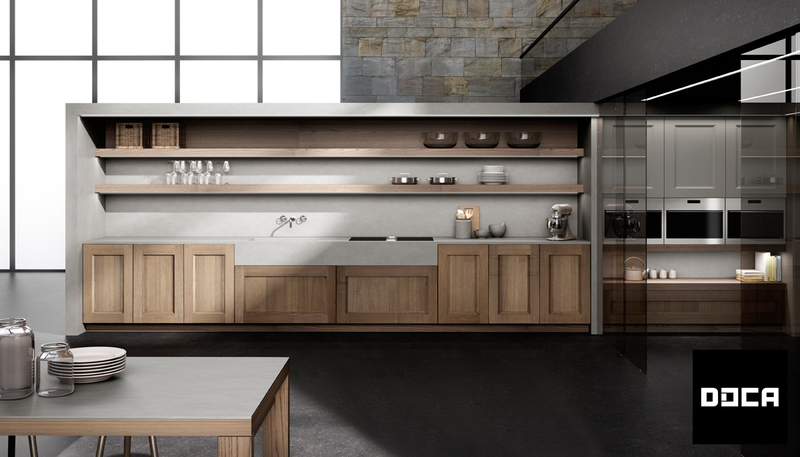 DOCA’s wide array of kitchen design includes a variety of handle and handle less drawer and cabinet arrangements depending on your desires. 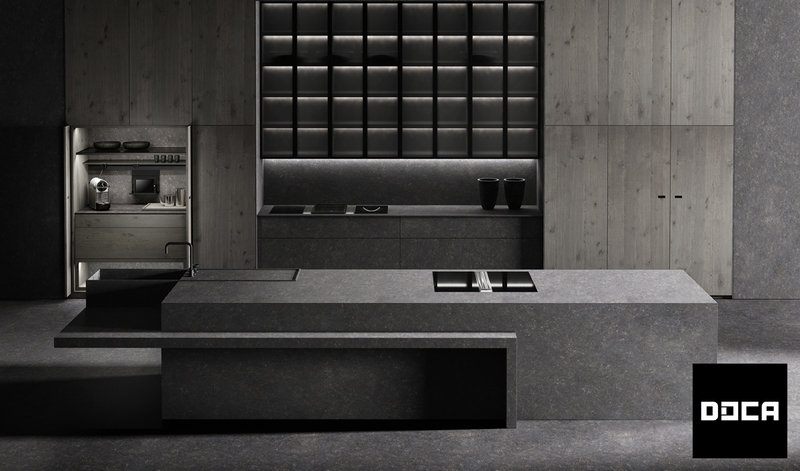 Whether you use your kitchen to cook, relax or entertain, DOCA can create a space with a compelling atmosphere that you can see, feel and touch. 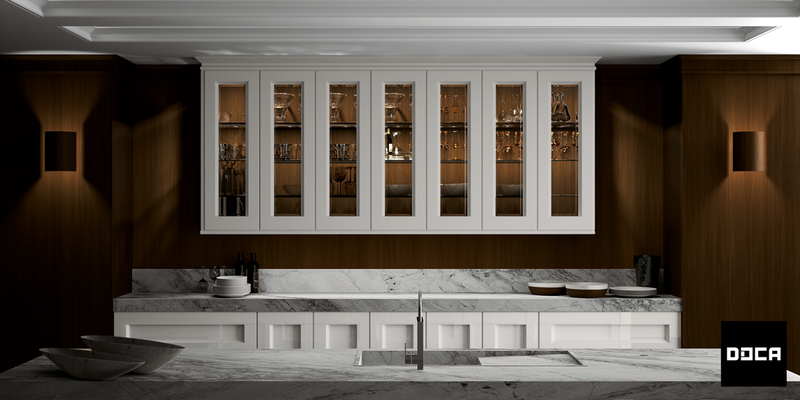 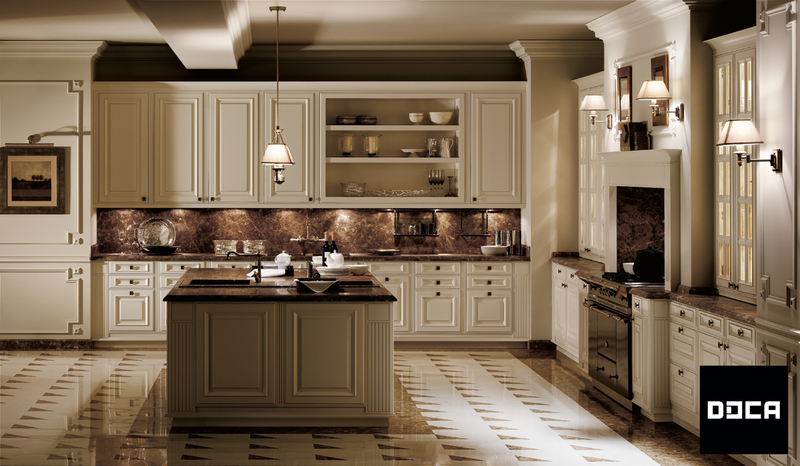 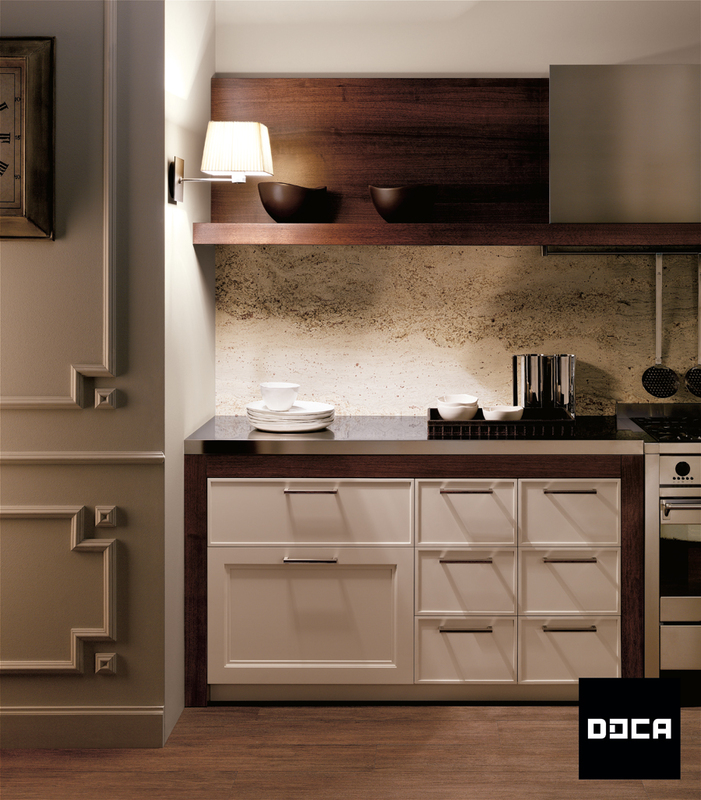 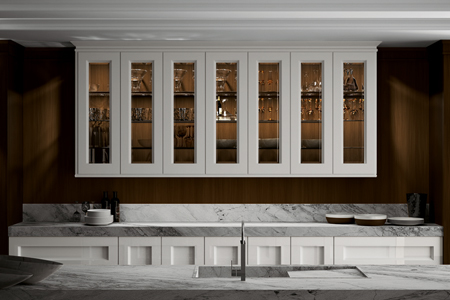 DOCA kitchens are as strong as they are eye-catching. 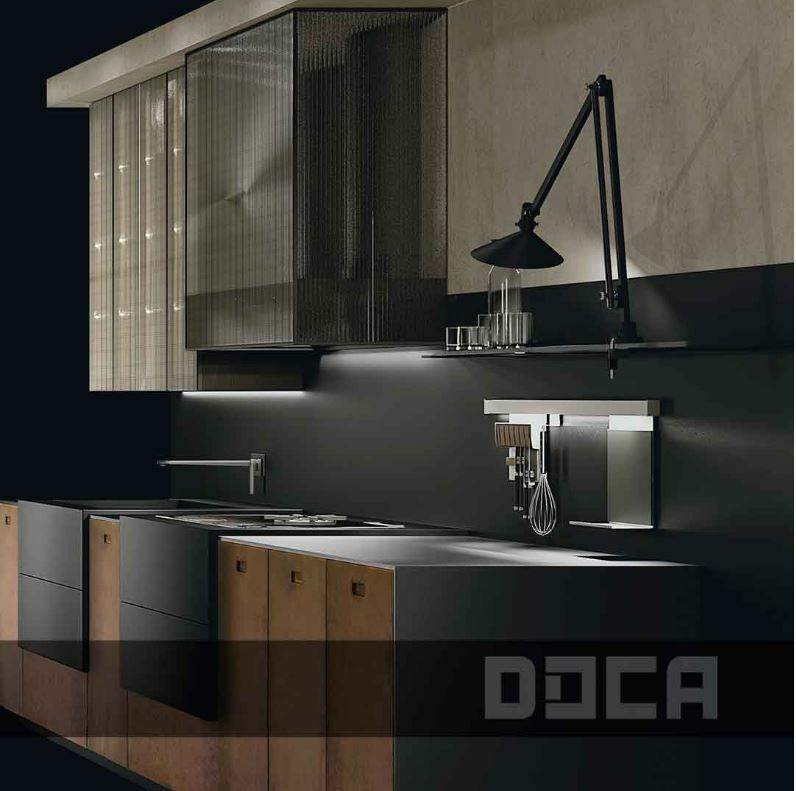 Using cutting edge methods and technologies, DOCA ensures high standards of construction and ergonomic design in all its products. 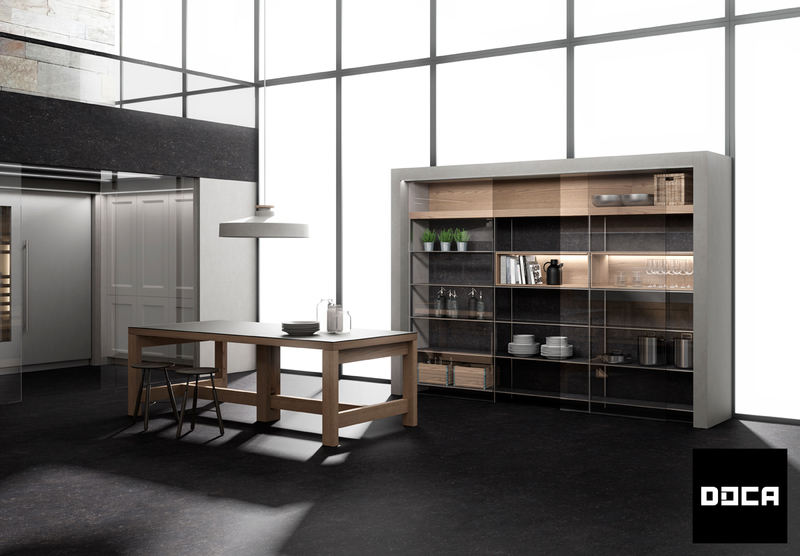 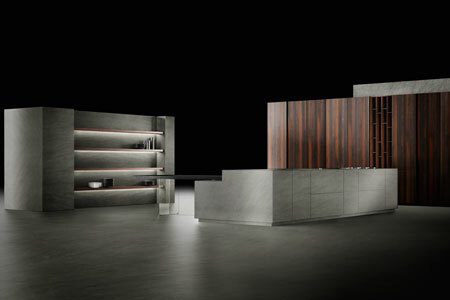 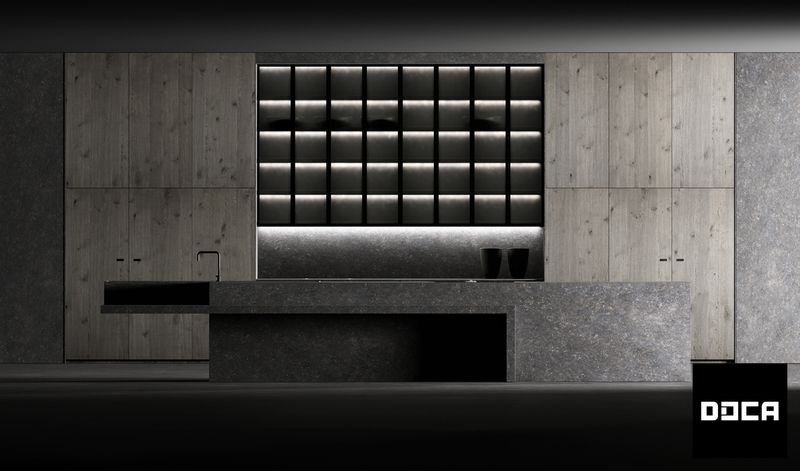 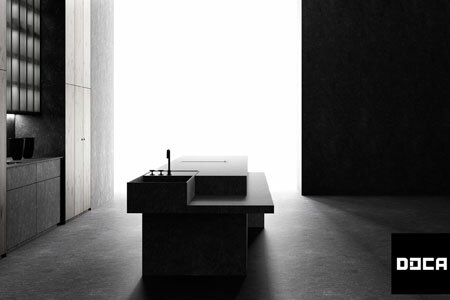 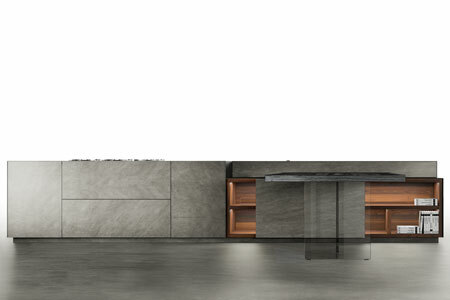 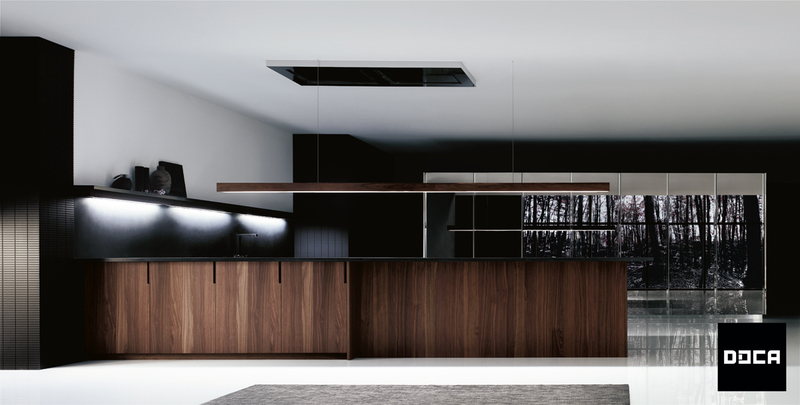 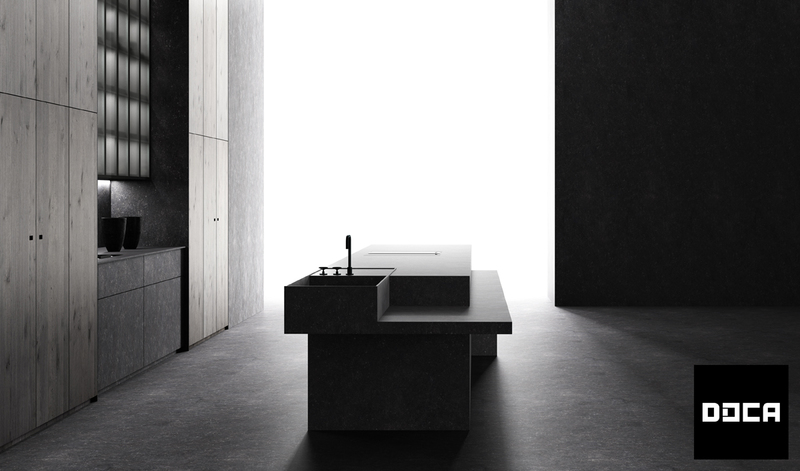 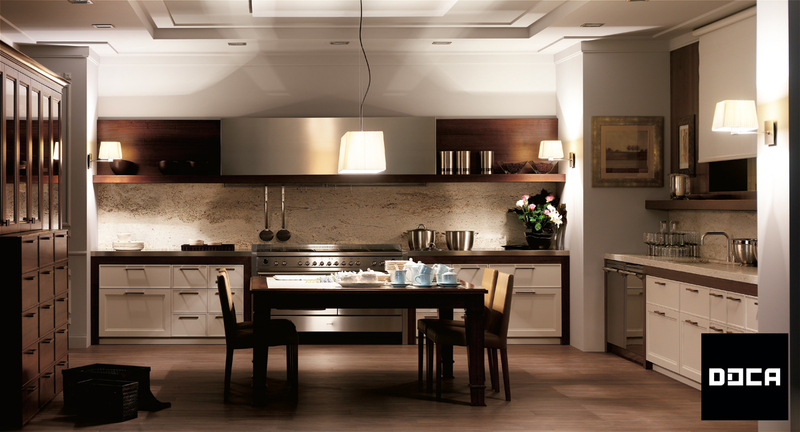 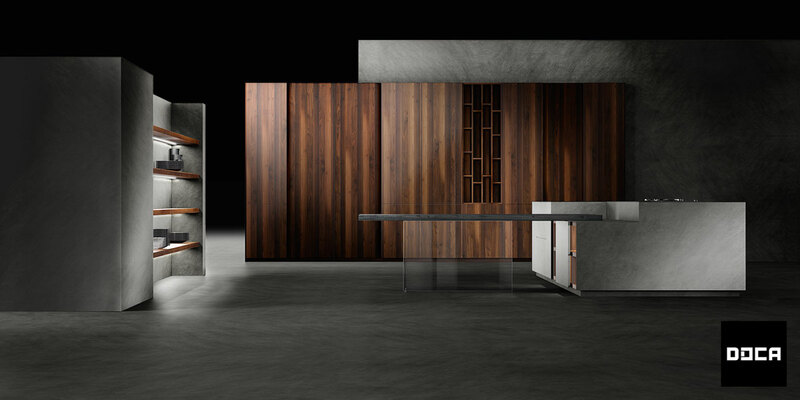 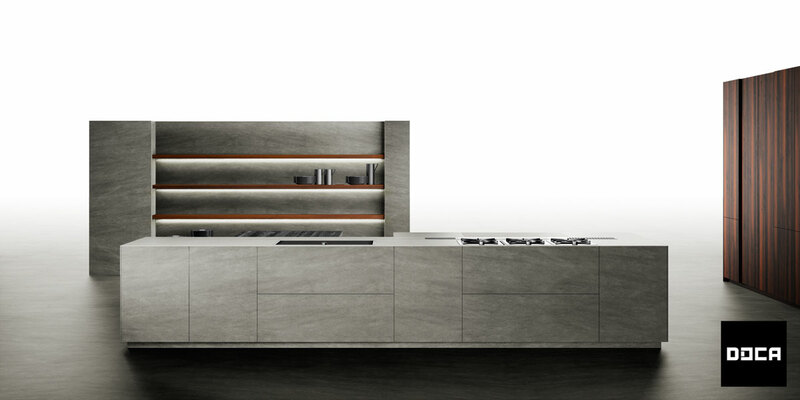 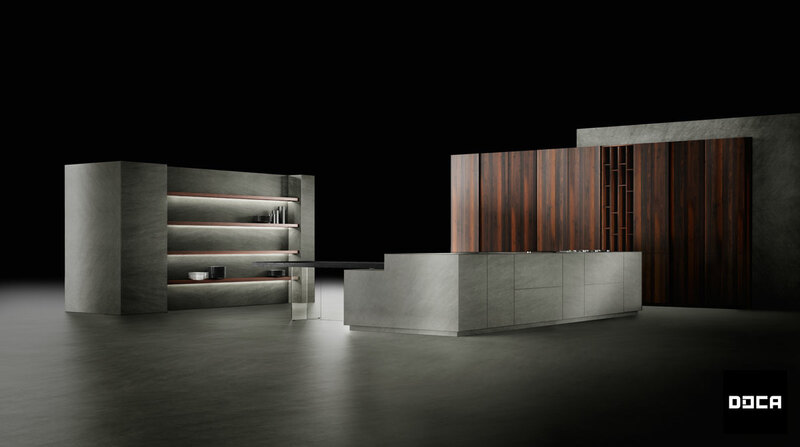 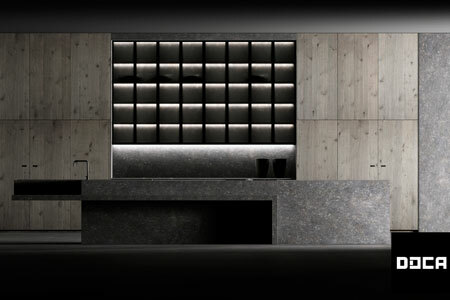 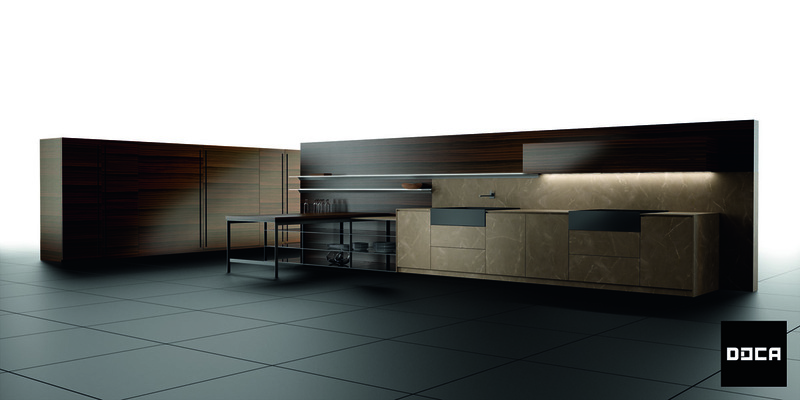 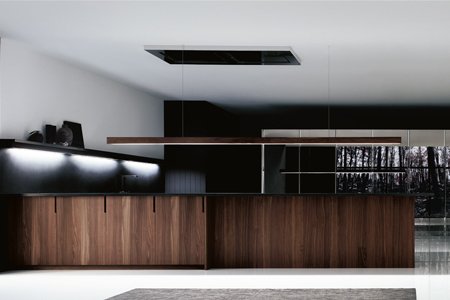 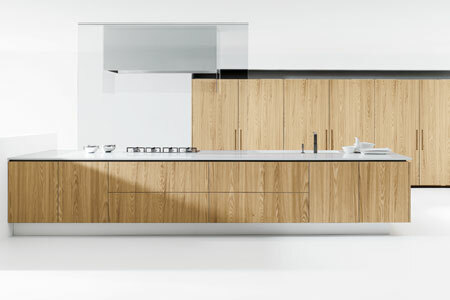 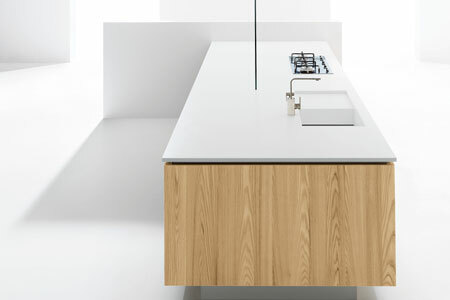 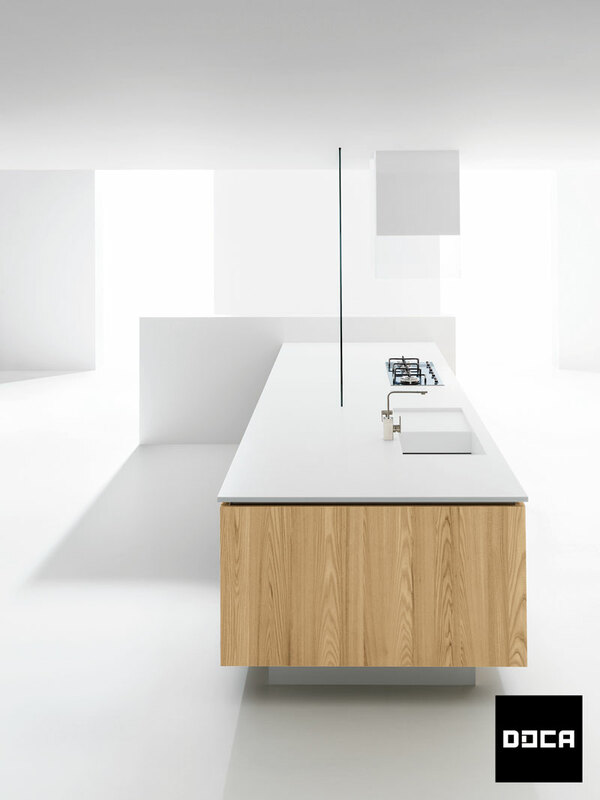 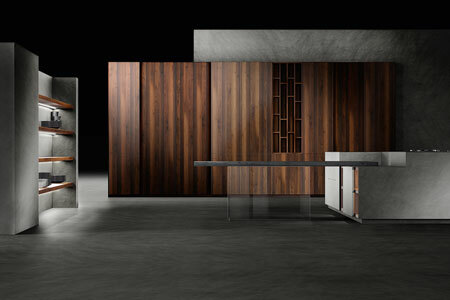 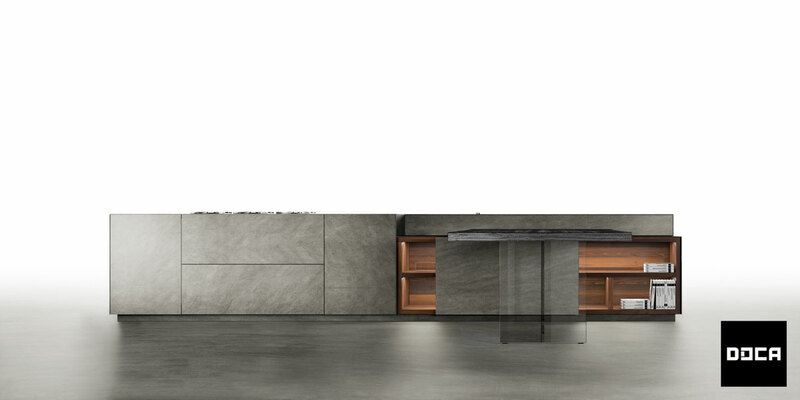 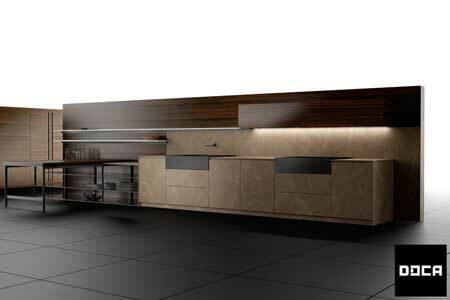 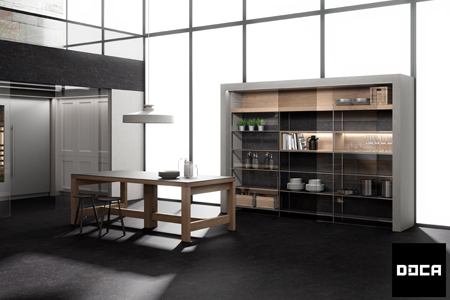 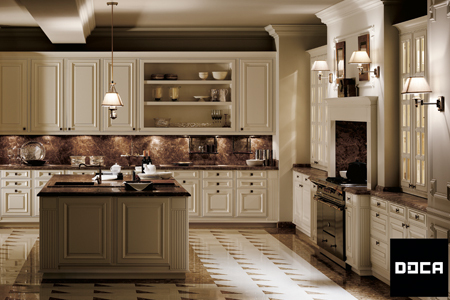 All DOCA kitchens are studied and tested to be resistant to heavy and extensive use. 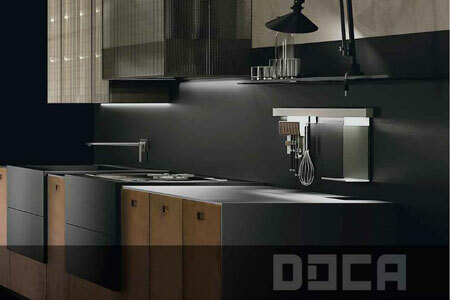 DOCA’s steel is polished by lasers, their resins are state of the art and their lacquers are highly glossed. 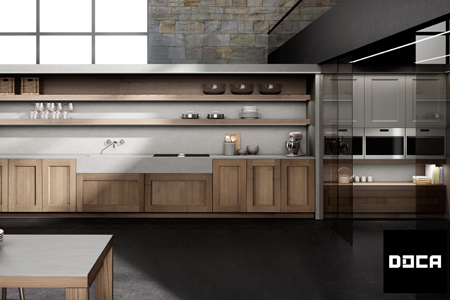 When you choose a DOCA kitchen, you are choosing a kitchen that is both custom and classic, that speaks to your personal style while offering universal appeal, and that is both contemporary and able to stand the test of time. 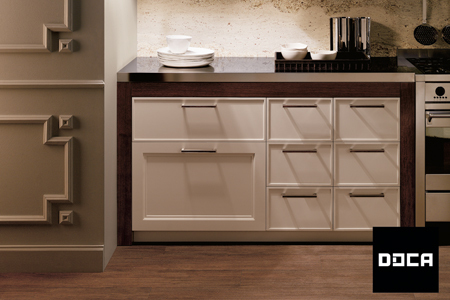 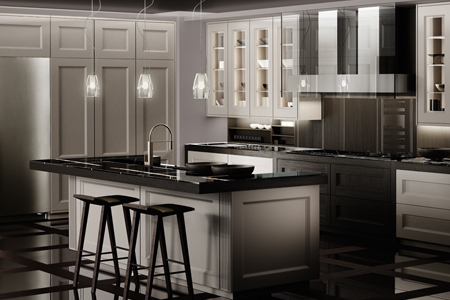 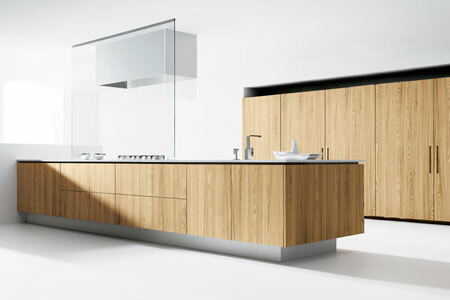 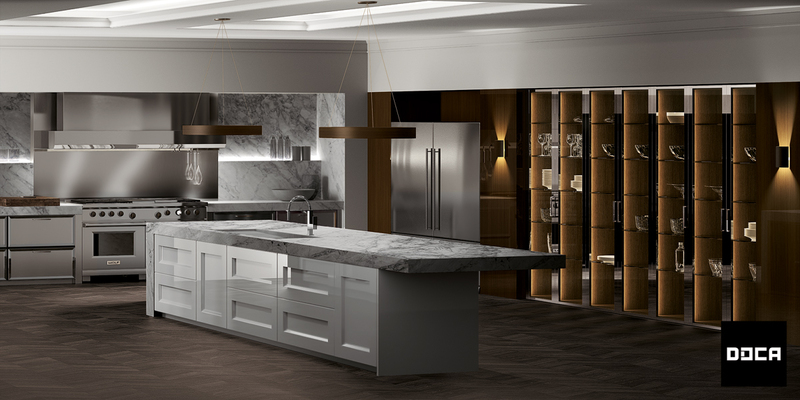 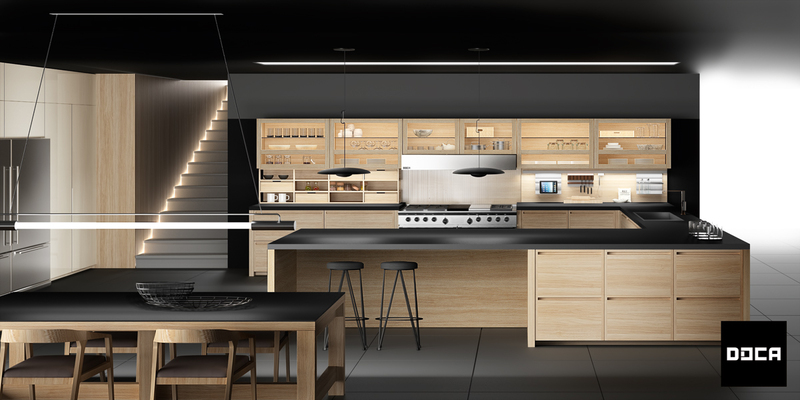 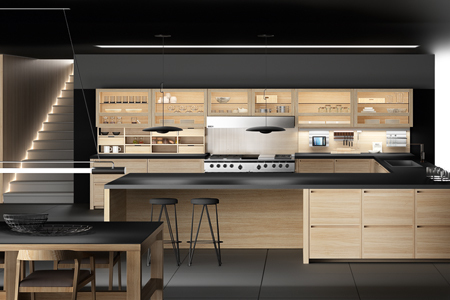 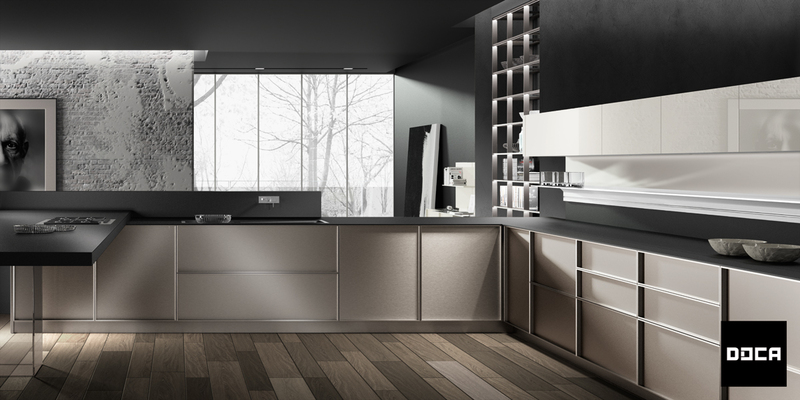 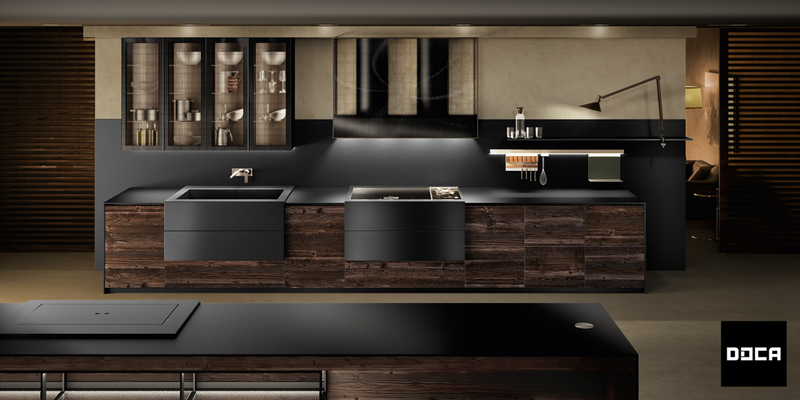 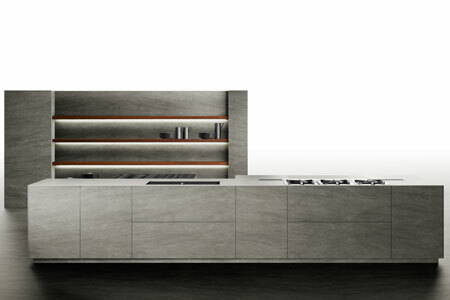 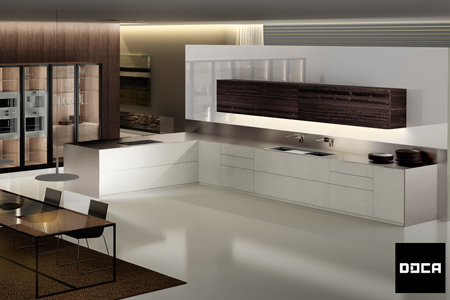 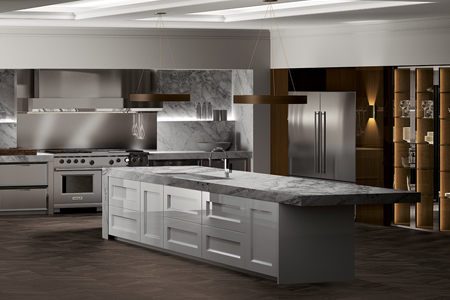 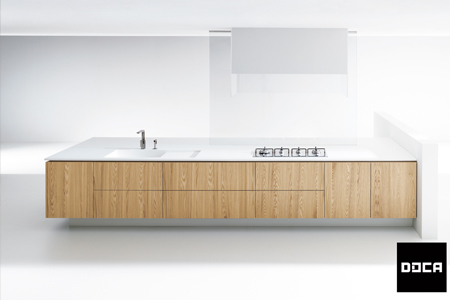 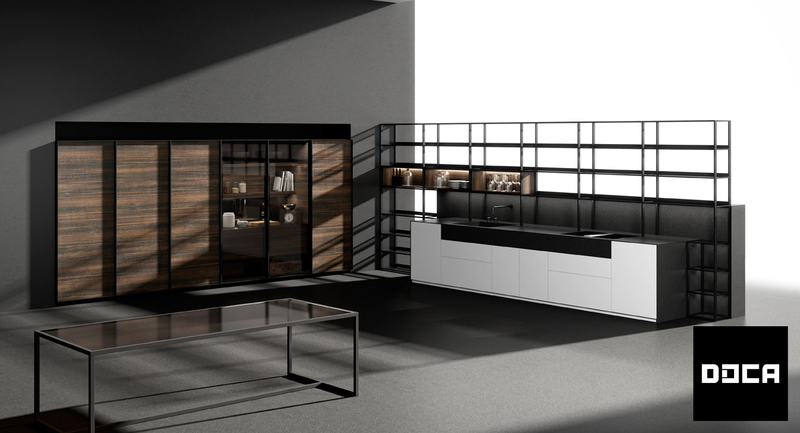 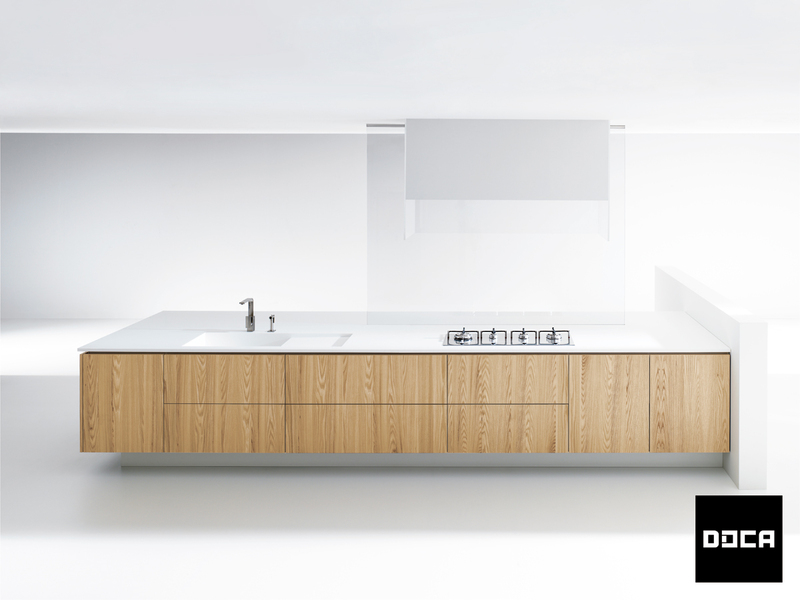 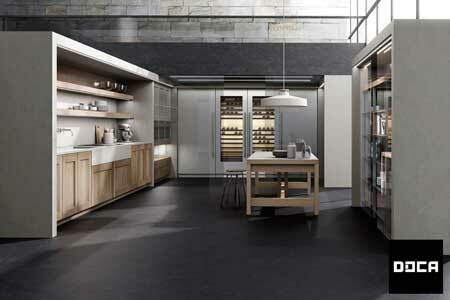 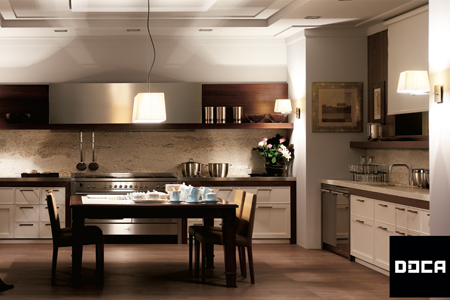 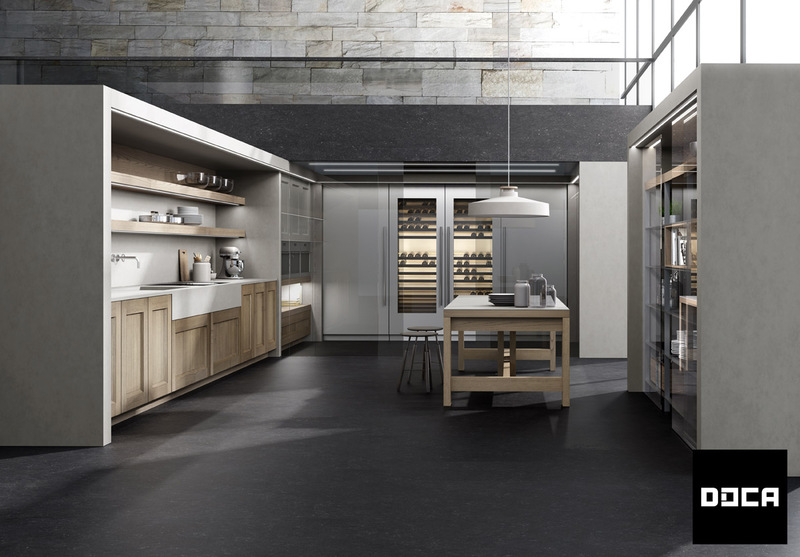 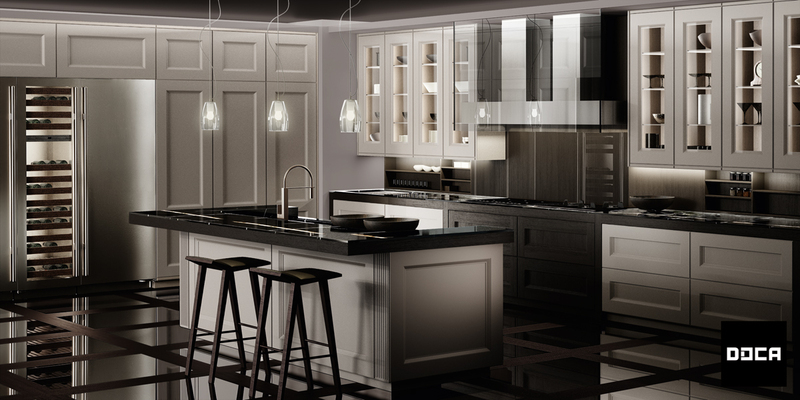 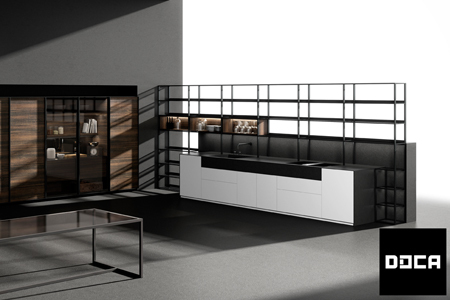 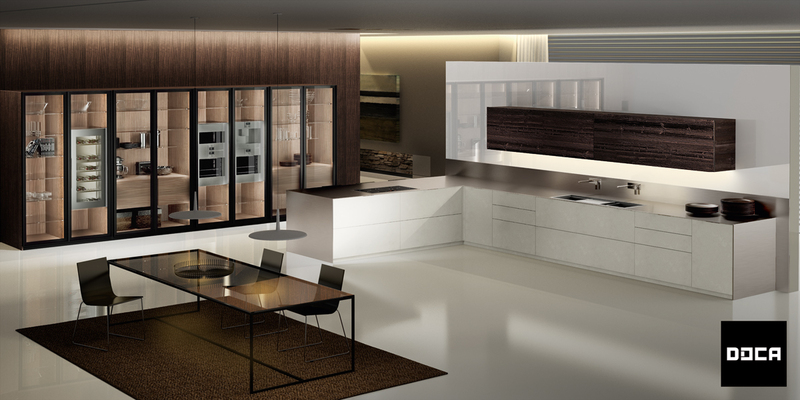 To learn more about DOCA kitchens, visit a German Kitchen Center Showroom or call us at (888) 209-5240.